The end of last week I traveled to central Arkansas to work on a story about rural Post Offices that are scheduled to be closed in 2012 as part of an attempt at cost savings for the struggling U.S. Post Office. You can read Campbell Robertson’s story here and see a slide show of images too. My job was pretty open, meaning they just wanted me to go shoot the Post Offices that Campbell had gone to. With a little organizing I realized this would be the quickest photo essay I would ever shoot! I had six Post Offices to stop at over a two day period before a 6pm job in Joplin, MO the following day, Friday. So at 10:30 a.m. Thursday, I hit the road on a journey that would clock in around 700 miles. I had my schedule laid out to where I could spend no more than one hour at each Post Office over the two days and still make it to Joplin in time. 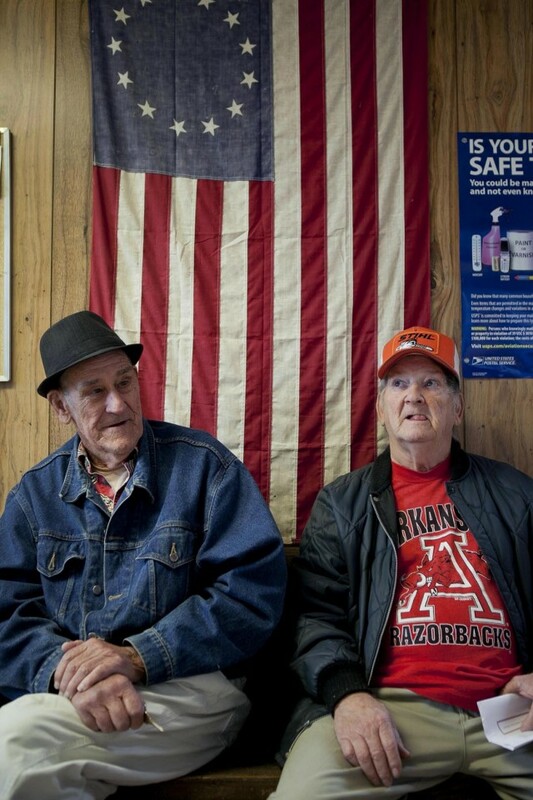 I became clear, very quickly, that I needed to try to make photos of people that these closures would effect and also paint a picture of what these communities and rural Arkansas look like. That would be my point of view, scenes from the road, which considering the time frame I was under, turned out to be the best decision. I met some great people in my quick pass through these towns and in the end I made it to Joplin with 45 minutes to spare! These are some of the images from the trip. 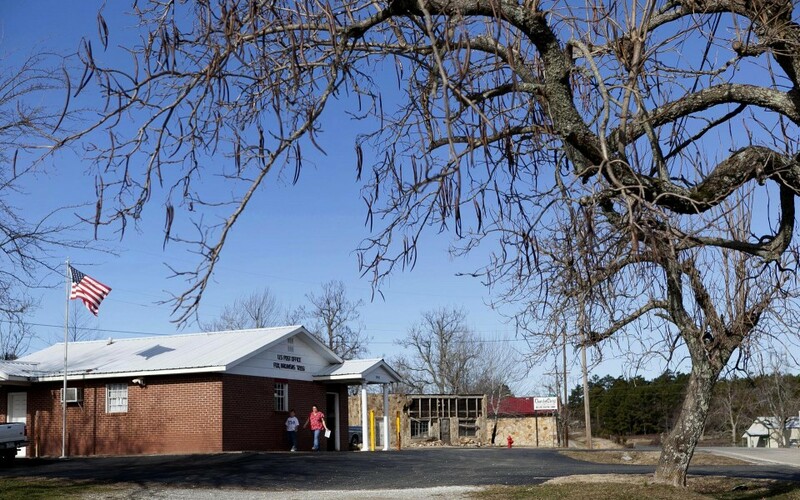 The Witts Springs, AR post office is currently set to stay open even though it was on the original closure list. 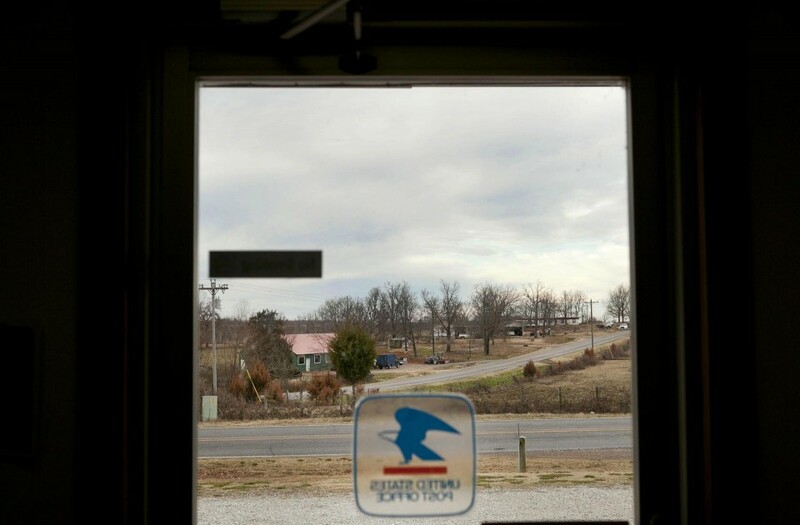 Through the front door of the Prim, AR post office homes in the small town can be seen. The Prim post office is on the closure list. The post office/grocery store and the local church are the two non-residential buildings in town. 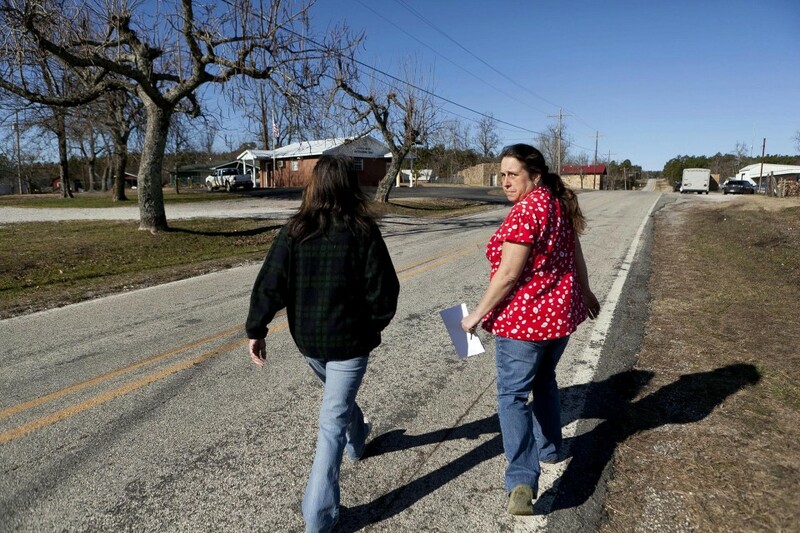 Elaine Elliott(right) walks to the post office with Sue Elliott to pick up Sue’s mail Friday in Fox, AR. The two live close to the post office and say they enjoy being able to just walk to the post office to pick up their mail. 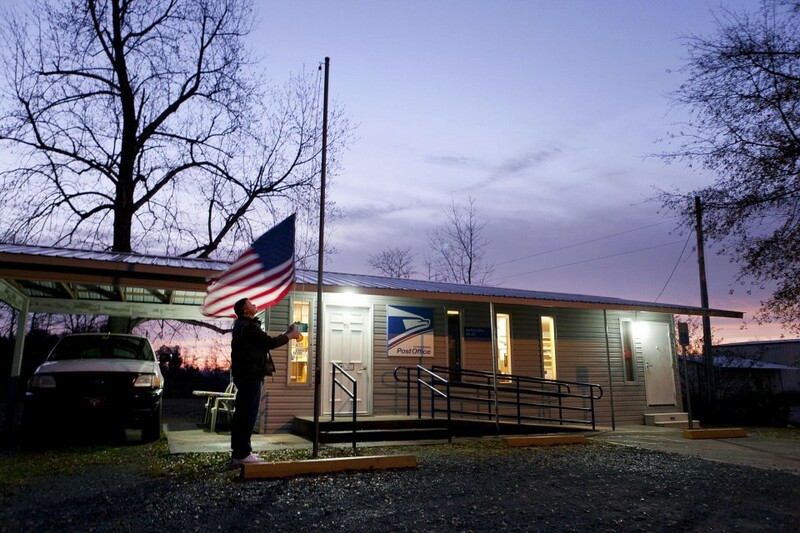 Flint Bradford raises the American flag as the sun rises over the post office in Ida, AR. 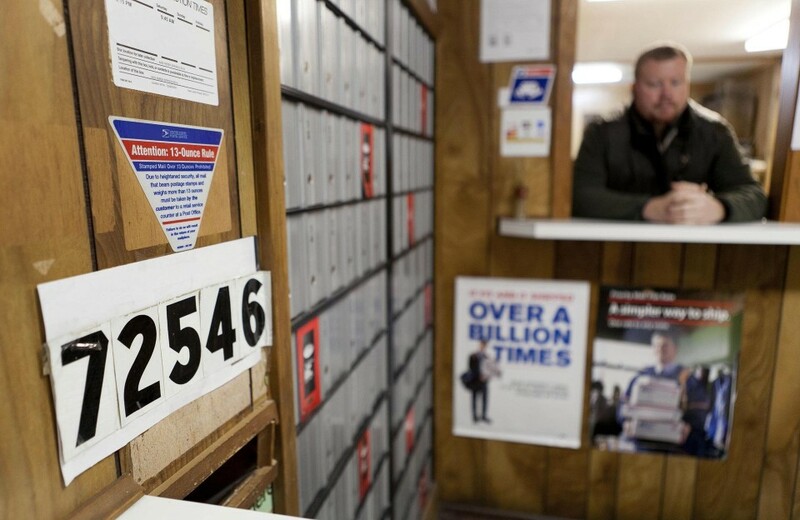 Ida’s post office is set to close this year. 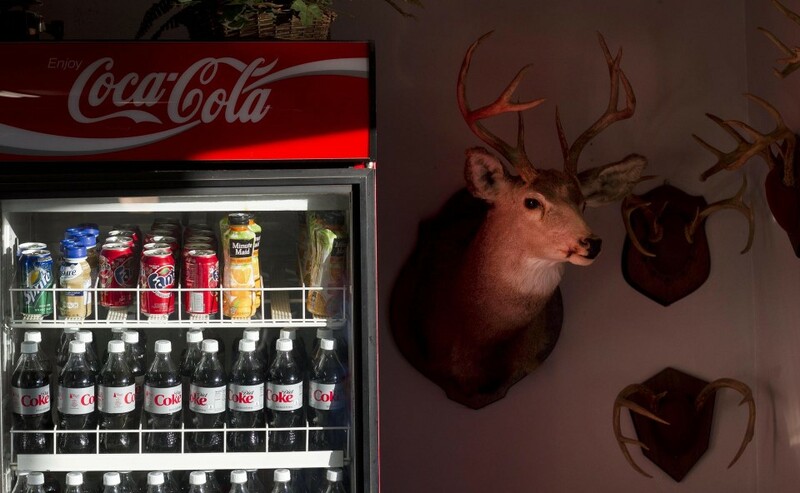 The post office in Tilly, AR is a gathering spot for the locals. 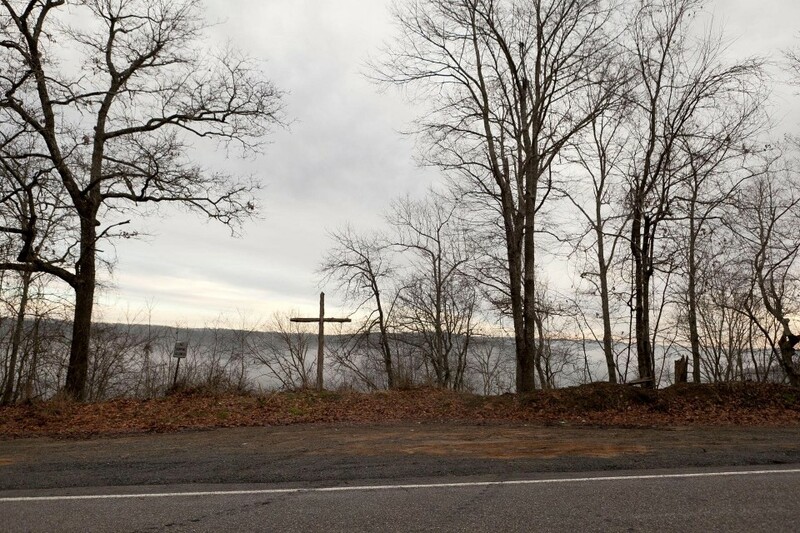 A wooden cross along Highway 263 leading to Prim, AR. 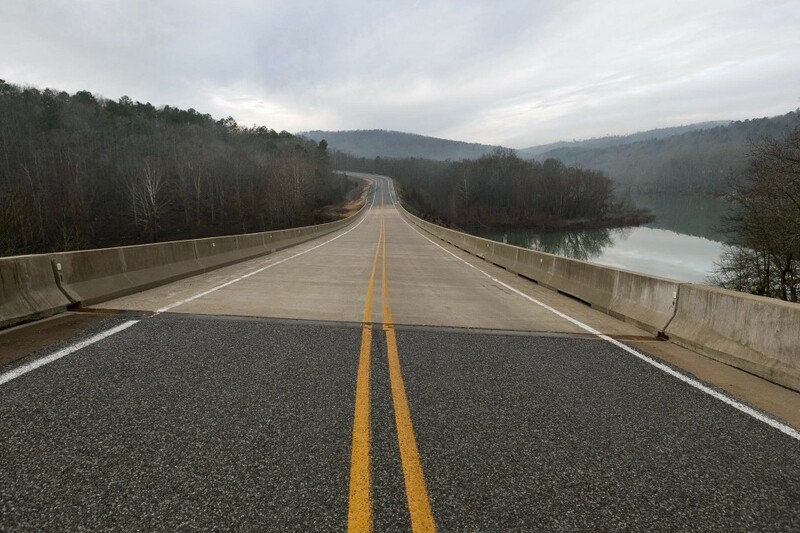 Scenes from the highway between Tilly, AR and Witts Springs, AR. 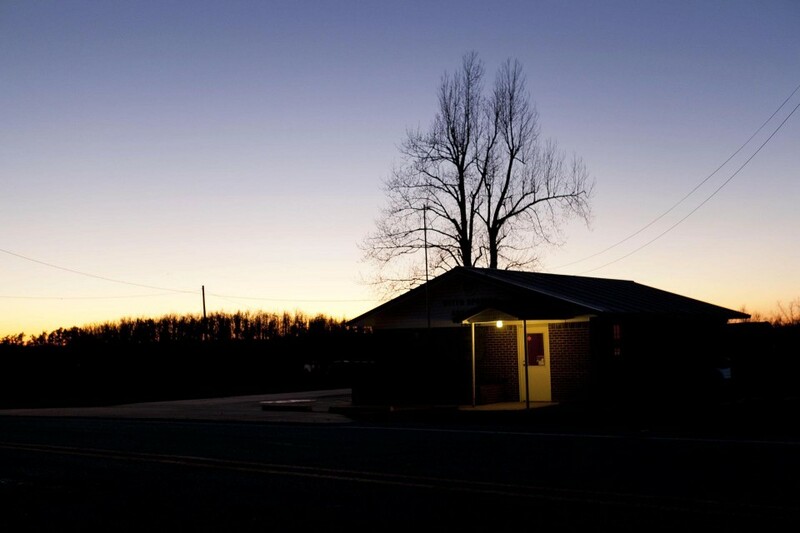 Panoramic stitched photograph of Prim, AR post office. 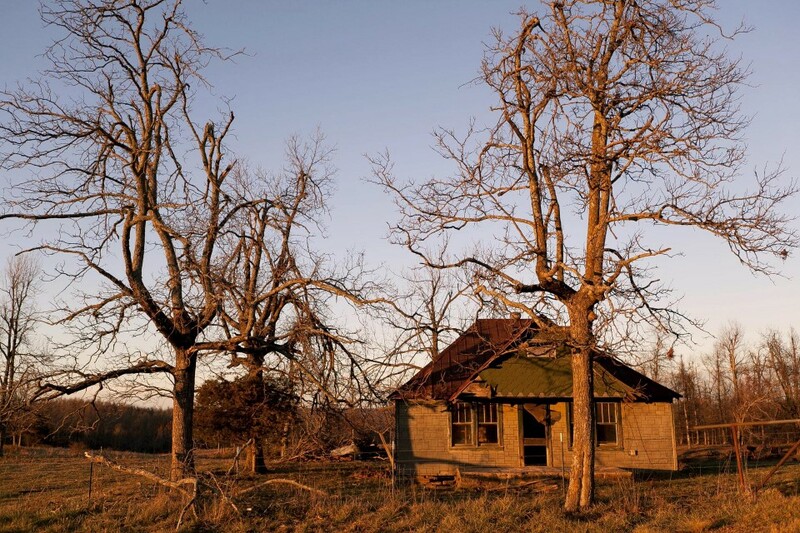 Zip Code 72546 – Ida, AR. 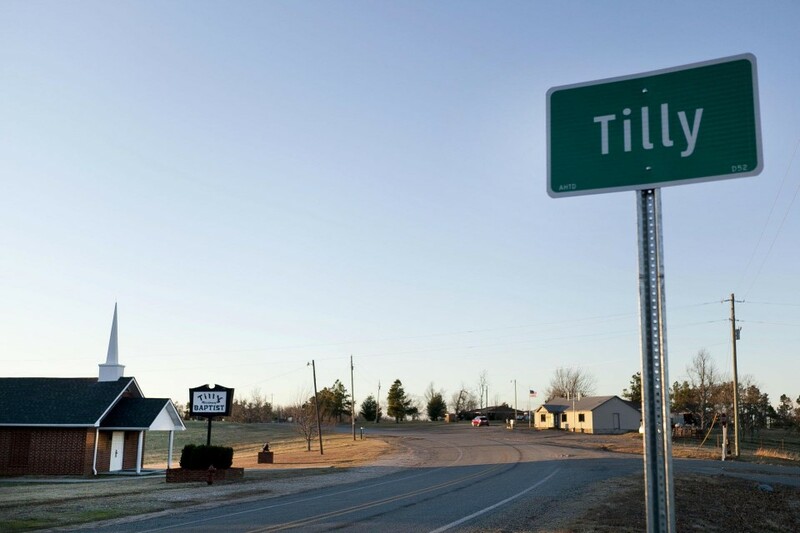 Tilly, AR resident Danny Casto says he will “raise hell” until they take the Tilly post office off of the closure list. 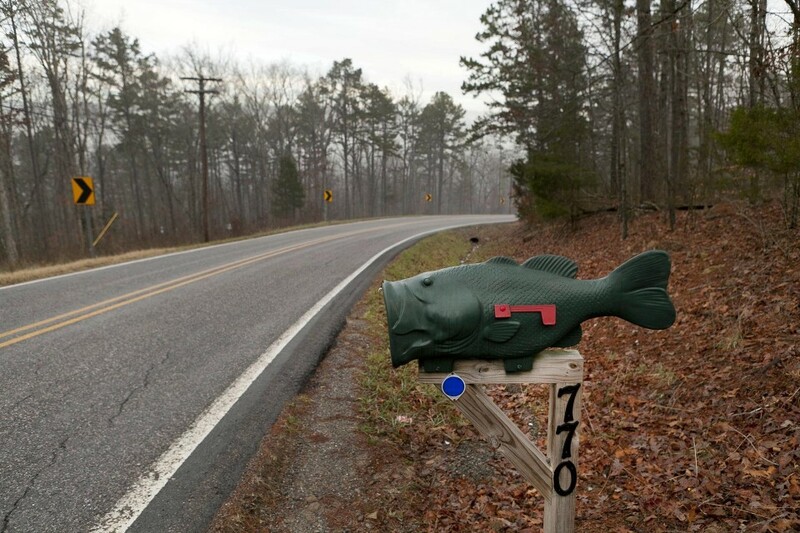 A plastic bass mailbox along Highway 263 leading to Prim, AR. 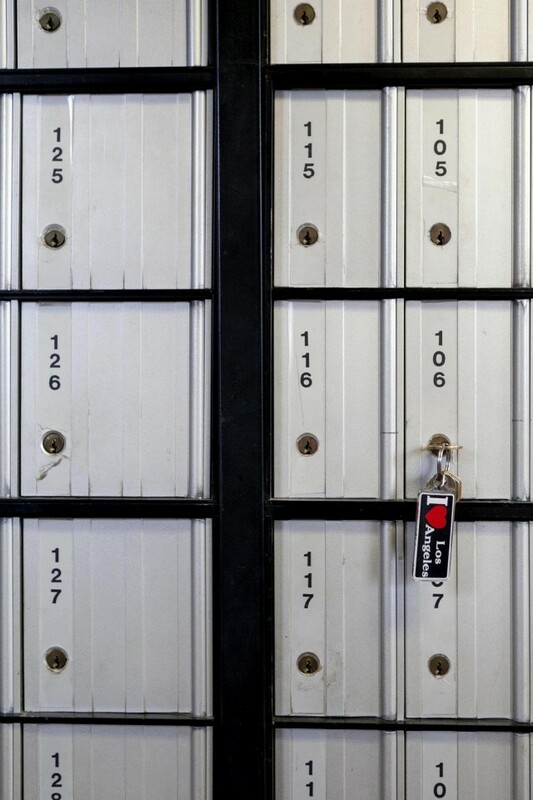 If the Prim, AR post office closes, residents will have to travel to another town to get mail from their PO Box or put up a mailbox to receive their mail. PO Boxes in Fox, AR. Flint Bradford gets his daily mail delivery from mail driver David Schmidt. 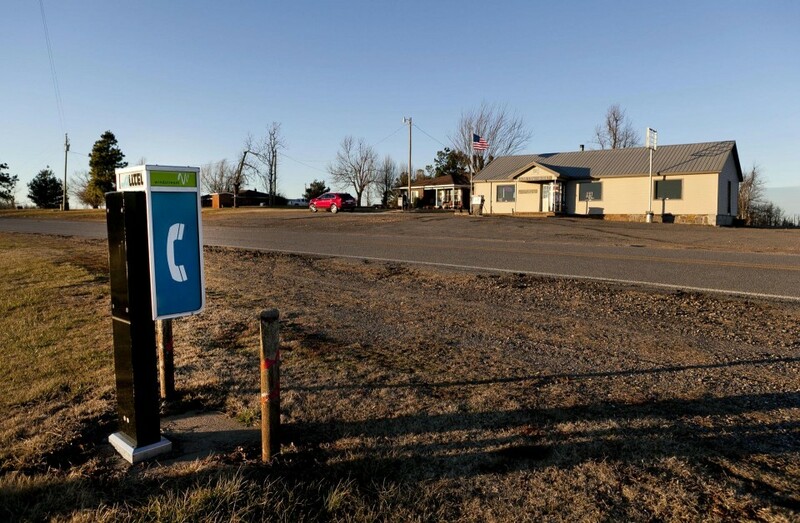 If you find yourself lost and without cell service near Tilly, AR there is a pay phone across the street from the post office. 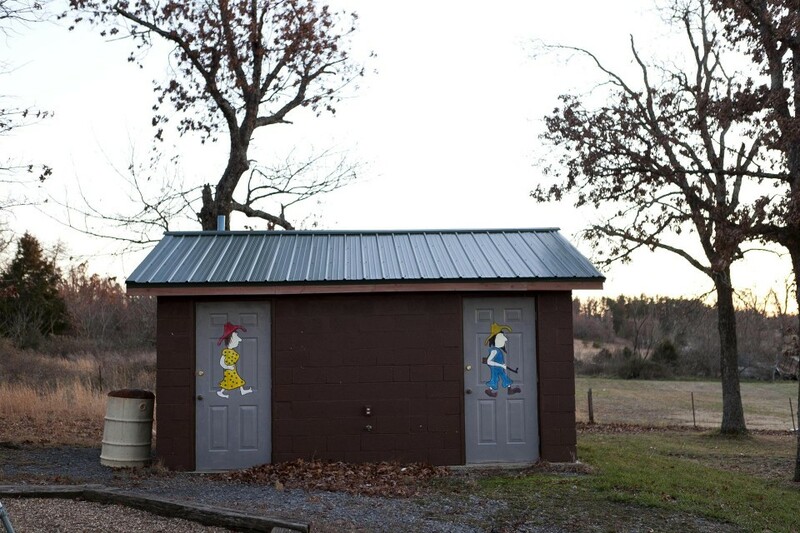 The restrooms in the Witts Springs, AR town park are designated men and women. 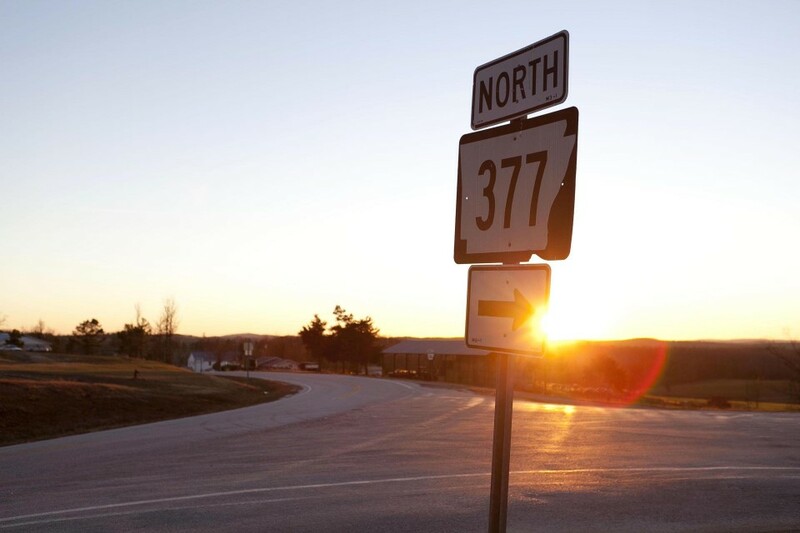 Highway 263 leading into Prim, AR where the towns post office is set to close this year. J.D. Sutterfield(left) and Rip Bonds(right) wait for their mail to be put into their PO boxes Friday at the Fox, AR post office. The two said they do not want to get a mailbox they want their post office to stay open. 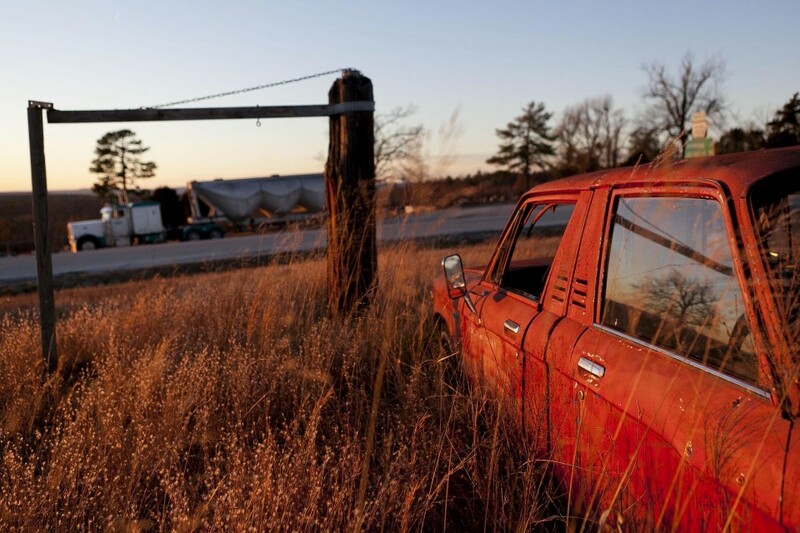 Junk cars at the edge of town in Witts Springs, AR. 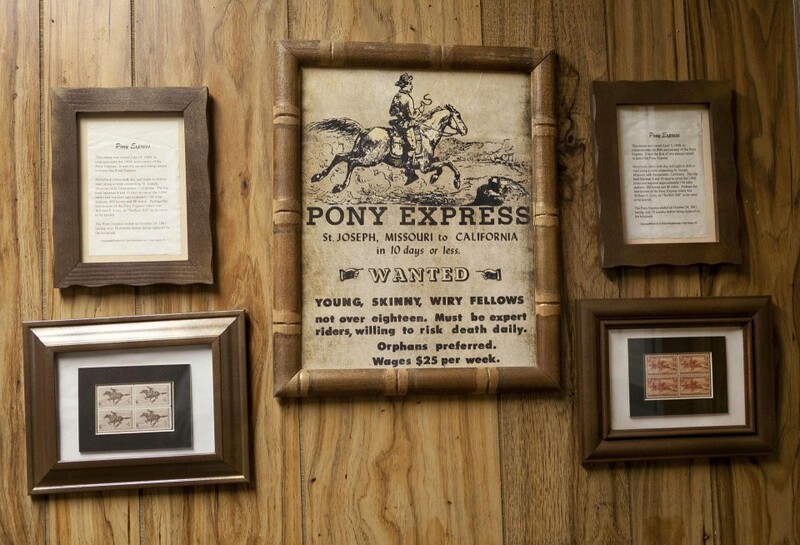 An homage to the Pony Express hangs in the Fox, AR post office. 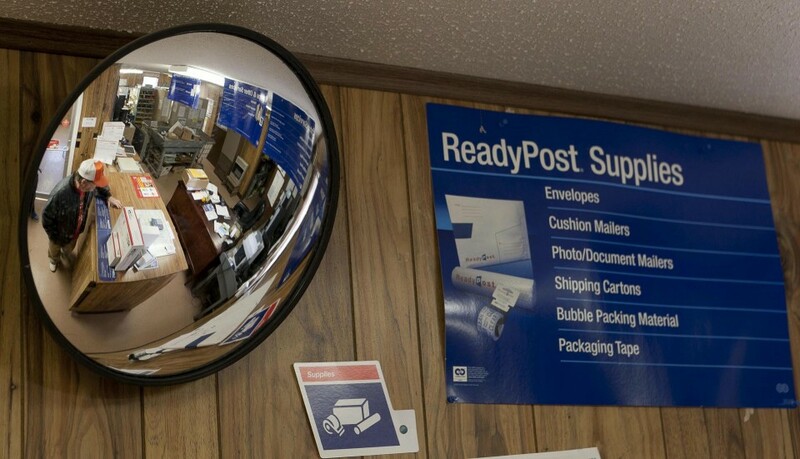 The Fox, AR post office is set to close. 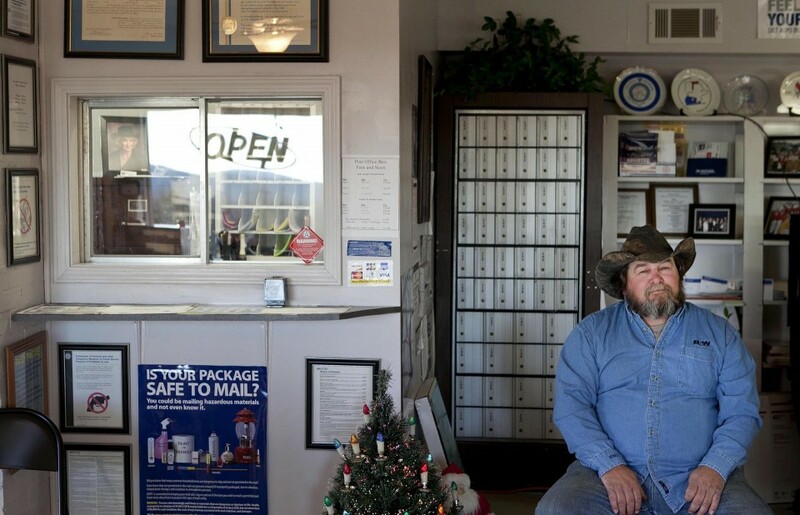 Rip Bonds(right) waits for his mail to be put into his PO box Friday at the Fox, AR post office. For the moment, the lights will stay on at the post office in Witts Springs, AR. It was set to close but that decision has changed.